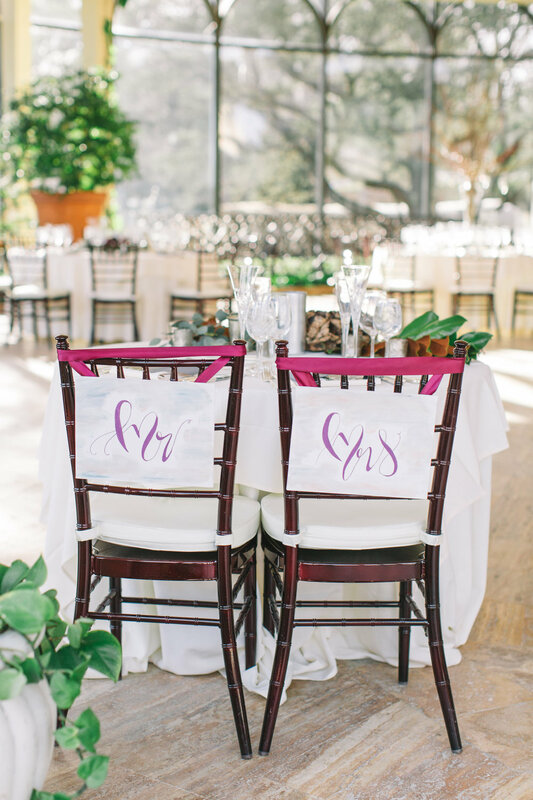 We're so excited to bring you all of 2016's weddings! Since we began our transition from Bottle Pop to Shannon Wellington Weddings, we've kept all of these beauties under wraps...until now! What better way to spend Valentine’s weekend than at a lovely wedding at a jaw-droppingly beautiful estate? We were thrilled to act as coordinators at Cassandra and Steve’s wedding this winter in Princeton at TPC Jasna Polana. The venue is a stunning estate belonging to the Johnson and Johnson family and was built as a country house for a Mrs. Johnson sometime in the 1970’s. Now, it’s a private golf club and wedding venue. While the building and grounds are impeccably kept, since it was so cold, we spent most of our time in the atrium. With floor to ceiling windows, it really was the best possible scenario for a winter wedding. We worked with Cassandra and Steve in the months leading up to their wedding and were so excited to see all of the details come into place. 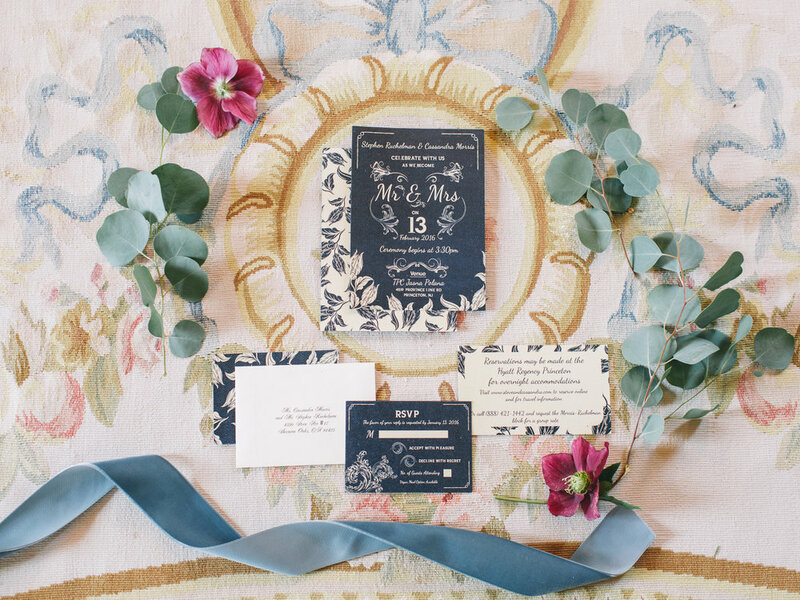 We loved working with photographer Lauren Fair and we so appreciate these gorgeous photos. Cassandra and her bridesmaids were downright stunning in their beaded gowns and mismatched bridesmaid dresses. Sarah from Allium Design kept the florals simple yet lush with green garlands and wintery branches. We infused candlelight everywhere and the effect was a perfect winter mix. Even though it was the coldest day of the year, there was no snow in the forecast. But right after their ceremony, the two headed outside for some sunset photos and it began to snow the daintiest little flakes. Talk about picture perfect wedding photos! We loved getting to do a little destination type wedding, even if that destination was only an hour away from Philadelphia. 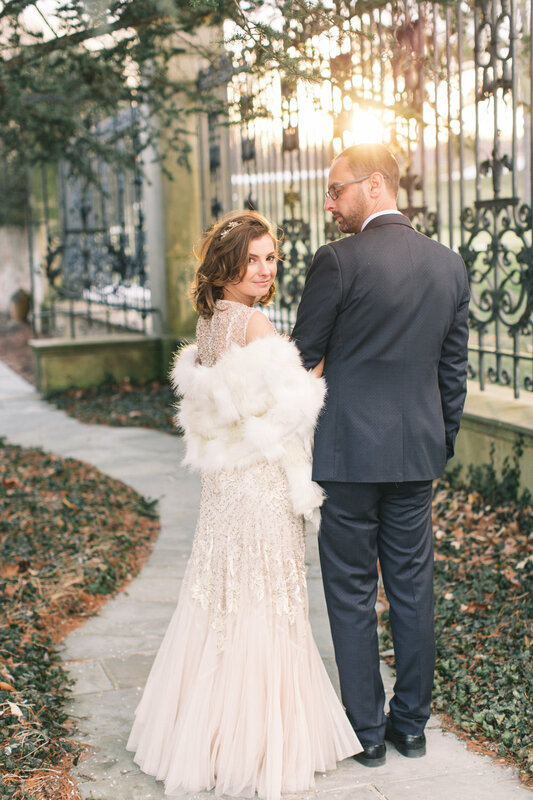 Princeton is the cutest Ivy league town and this wedding was the perfect fit.